Our Solon, Ohio office provides fast and secure digital forensics and data recovery services. 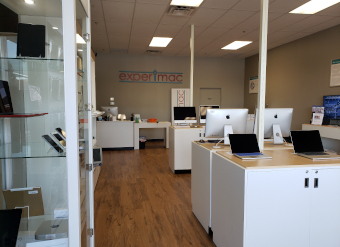 We specialize in hard drive repair, solid state drive repair, file recovery, mobile forensics, and much more. Our services are always backed with a no recovery, no charge guarantee and we pride ourselves on high success rates. Secure Data Recovery Services is your local certified data recovery service in Solon, Ohio. If one of Solon’s local businesses such as Nestle experiences a server failure, it could result in a major data loss. This is why we are glad to have a local office they can visit when an emergency situation occurs. Secure Data Recovery Services thrives on providing our clients with the best solutions for all of their data recovery and computer forensics needs. Check out some of our most popular services below. At Secure Data Recovery, we understand that our clients depend on us to keep their data and personal information secure. We take tremendous measures to make sure that all of your files are safe. We store most recovered data on our secure servers. Any data stored on an external device is encrypted with file-system encryption. Backup copies of recovered files are automatically deleted within 14 days to ensure no unauthorized access to personal data. We have regular audits at all of our facilities and keep all of our security systems up to date. We are an accredited BBB business with an A+ rating at all of our facilities. Secure Data Recovery is excited to deliver our clients with outstanding customer support and remarkable recovery results. As the industry’s leader in data recovery and computer forensics with a success rate of 96 percent, Secure Data Recovery Services takes pride in what we do. We are able to provide all of our clients with the best solution for any of their data recovery needs. We offer same-day diagnostics, expedited and emergency services, specialized services, easy pick up and drop off service, excellent customer support, and much more. Call our customer service team today to start a risk-free evaluation. They will help identify which solution works best for you and help schedule a device pickup if needed. Our customer support team is available 24 hours a day, 7 days a week, 365 days a year and are ready to assist with any questions you may have. Call 800-388-1266 or visit our local Solon office to discuss your service options. Fredrick did a wonderful job keeping me abreast of the recovery on my damaged hard drive. All the information that was lost was recovered. I would recommend your company to recover damaged hard drives to any in same situation. He also recommended Shane to help me get on the cloud with Google. Shane did an equally great job to get me set up with Google. Can't express how happy I am with your service. Secure Data Recovery did a great job in recovering my SSD. Fortunately we have a location here on the East Side of Cleveland, so I was able to drop off and pick up directly at one of their facilities. The customer service and efficiency of handling my case was excellent, and my customer service rep Alec Sakenes was very helpful in answering my questions. I feel that emergency data recovery is a lot like divorce, it's really expensive but it's really worth it! LOL!